The Illinois State Museum (ISM) is highlighting artifacts that tell the story of Illinois’ rich heritage as part of the state’s Bicentennial celebration. Here at ChiIL Mama, I'm particularly interested in the Illinois Bicentennial celebration since both of my children and my husband were born here in Chicago, as was my father, and his parents. His grandfather came to Chicago from Sweden and we've been here now for 5 generations. Illinois Association of Museums has partnered with ISM to launch the “Story of Illinois” website, featuring objects from the ISM Illinois Legacy Collection, as well as collections from other museums across the state that help bring the state’s heritage to life. The new website, built by the ISM, previews some objects that will be on display in the “Bicentennial and Beyond: The Illinois Legacy Collection” exhibition, which will open at the Illinois State Museum in Springfield on June 30. While Illinois became a state 200 years ago, the collections held by Illinois museums help tell a story of Illinois dating back approximately 500 million years. From animals, fish, insects and plants to minerals, jewels, paintings, manuscripts, stone tools and fossils – the “Story of Illinois” website will feature some of the best artifacts and treasures from the collections of the participating museums. 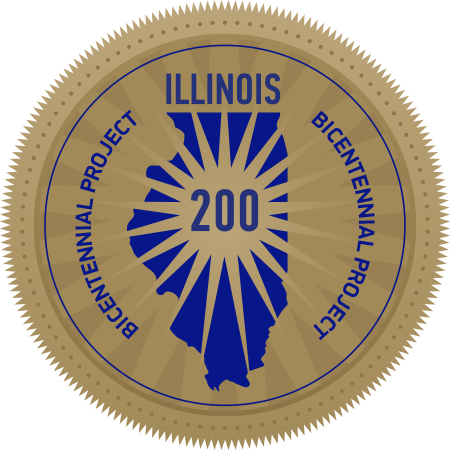 Objects will be added to the website regularly during the celebration of the Illinois Bicentennial this year and promoted through the ISM Facebook page. Find the website at this link. Click HERE for more information on the Illinois Association of Museums. Click HERE for more information on the collections, programs and exhibitions of the Illinois State Museum.